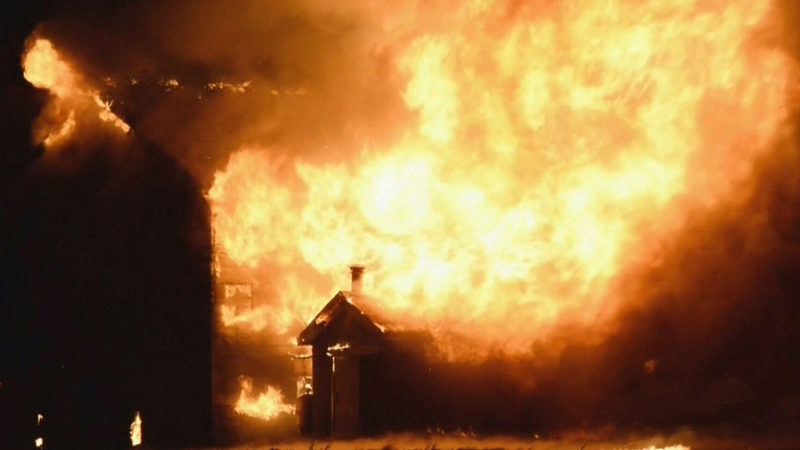 Some 30,000 chicks died early Sunday morning in a fast-moving barn fire in Nova Scotia that was captured on video. 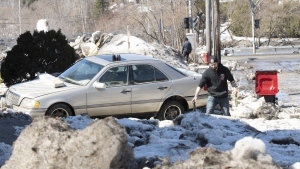 Fire officials from seven different departments arrived at the three-storey barn in the Sheffield Mills at around 4:45 a.m.
Canning fire chief Jeffrey Skaling told CTV Atlantic that the building began to collapse 10 minutes after firefighters arrived. “It was a very, very large fire and there was a good breeze this morning so it was a very fast, aggressive fire,” he said. The chicks probably experienced a quick death, he added. Donna Taylor, who lives next to the farm, watched it all unfold. “All I could think about was the poor little chickens in there,” she said. The cause of the fire is unknown. The fire marshal is inspecting. The owners of the farm chose not to comment. A barn fire in Sheffield Mills, N.S., early on Sunday, Oct. 14, 2018. 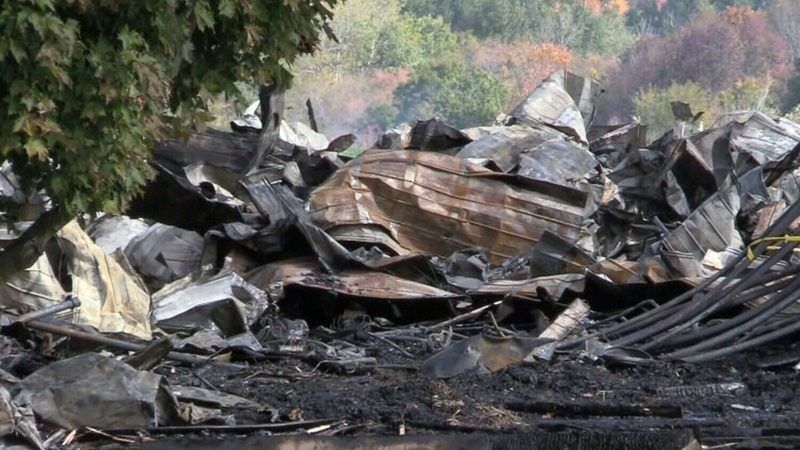 The aftermath of a barn fire in Sheffield Mills, N.S., on Sunday, Oct. 14, 2018.